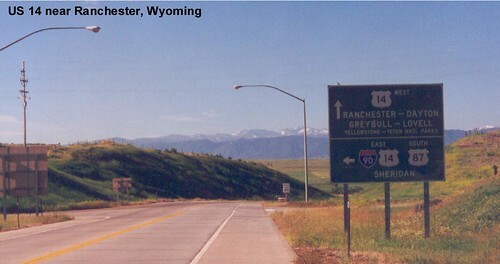 Crossing the border into Wyoming on US 14 (and I-90). 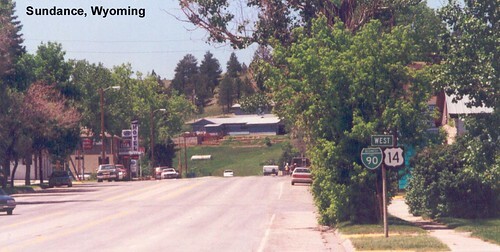 Devils Tower is visible from US 14. 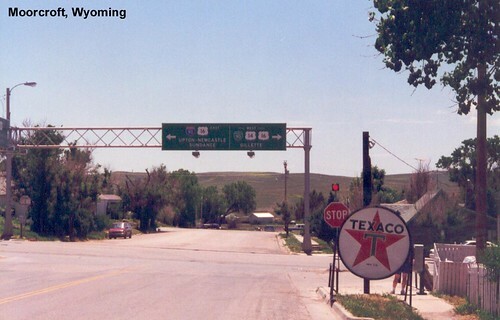 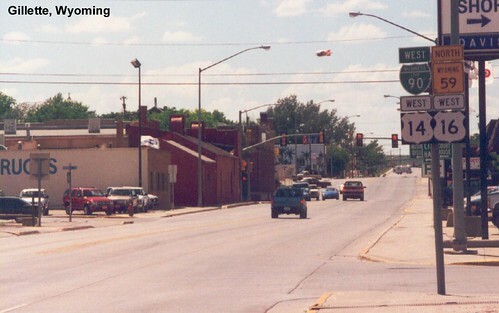 US 14 meets US 16 again in Moorcroft. 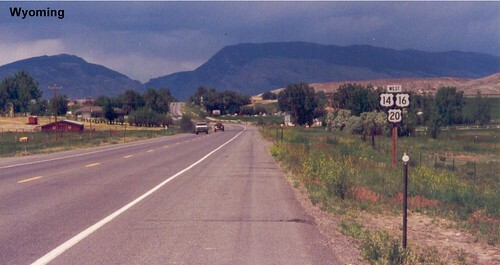 The US 14 / US 16 multiplex west of Gillette parallels I-90 but doesn't go through any major towns, so it sees very little traffic. 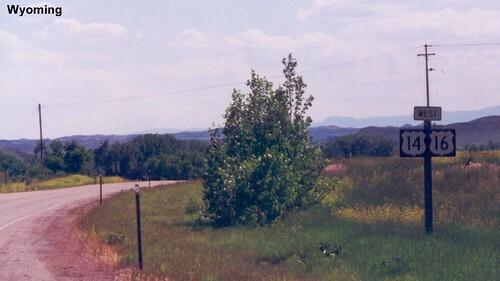 The Bighorn Mountains appear in the distance. 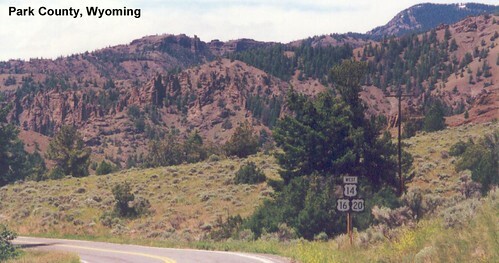 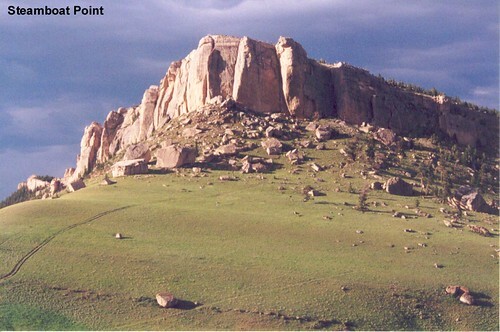 US 14 crosses the Bighorn Mountains to the north of US 16. 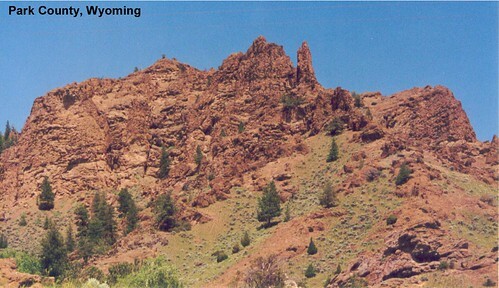 There was still snow on the mountains in mid-summer. 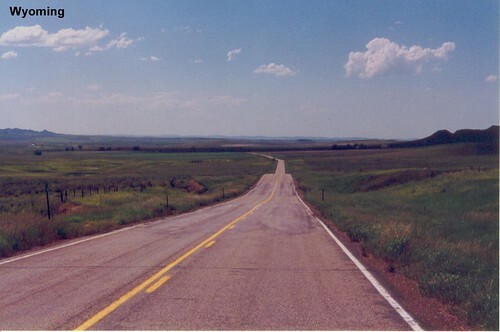 US 14's route ahead is clearly visible. 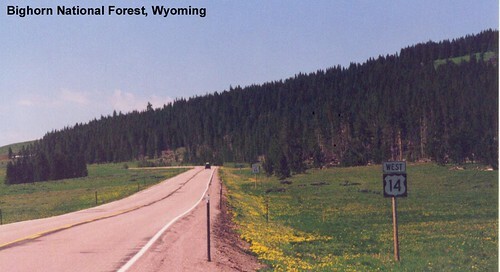 The Bighorn Mountains remains one of my favorites. 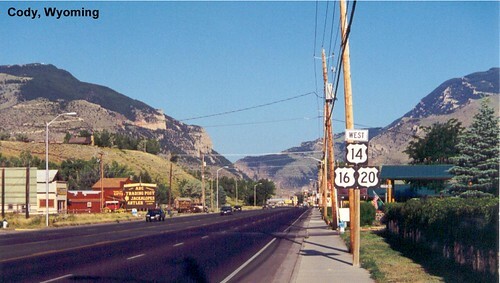 US 14 descends out of the mountains and joins US 16 and US 20. 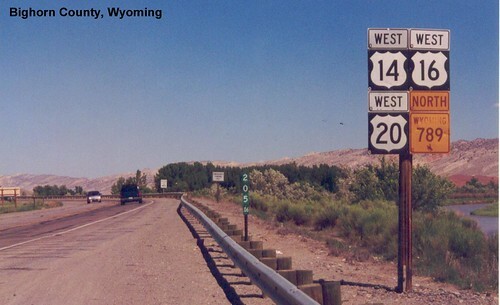 There is also an Alternate US 14 that makes a very steep descent out of the mountains. 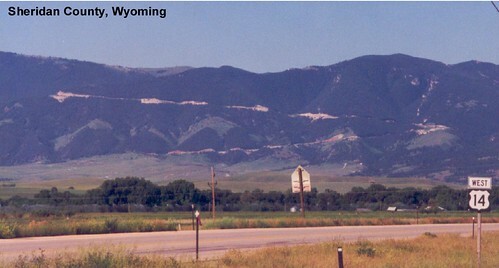 Heading west out of Cody we see some impressive landscapes. 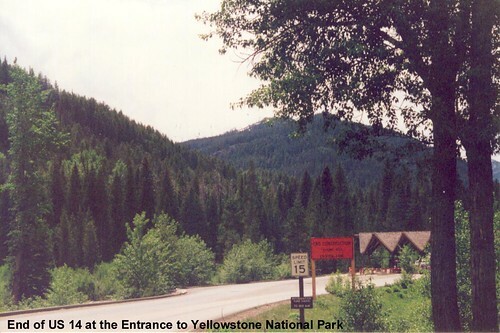 There's no signage, but US 14 ends at the entrance to Yellowstone National Park.